PARKING LOT Offering 85 parking spaces adjacent to an OFFICE or RETAIL COMMERCIAL building near the interchange of Hwy 99 and E. Park Avenue. 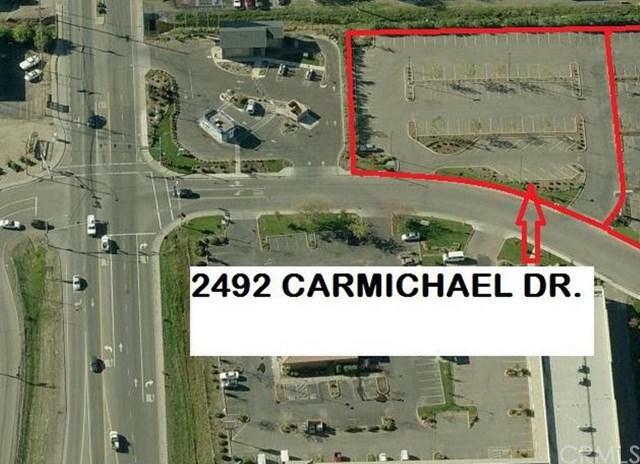 Commercial Services (CS) allows for a broad range of businesses that attract high volumes of vehicle traffic.Will only be leased with 2445 Carmichael or, after 2445 Carmichael has been leased. Amenities in the area include coffee, sit down and quick service restaurants, and shopping. The information contained herein has been obtained through sources deemed reliable but cannot be guaranteed as to its accuracy. Lot size taken from public records. Buyer is advised to investigate to their satisfaction.